Complete solutions for furnishing your office on a budget. Plan. Deliver. Install - We Do It All! From creating a detailed plan of your office space to helping you choose the right furniture, all the way to delivery and installation, Efficient Office Solutions offers a full-service approach to creating a cost-effective and beautiful workspace with minimal effort and fast turnaround times. You have a business to worry about, let us do what we do best - affordable office furniture, designed, delivered and set up for you. Refurbishing office furniture is a great alternative to new furniture, bringing substantial cost savings and sustainability benefits. 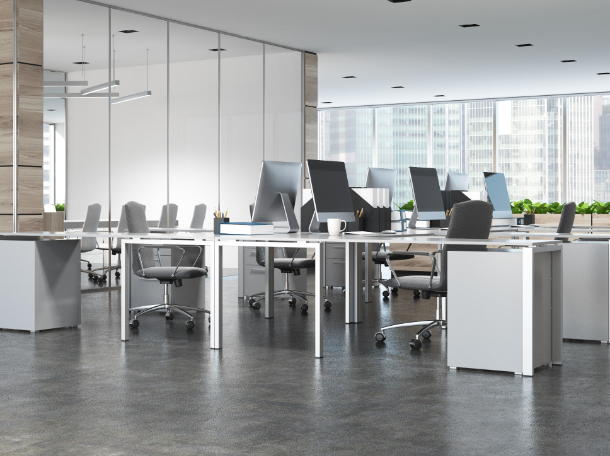 Choosing refurbished office furniture will save you approximately 80% compared to new. EOS provides two levels of refurbishing, pre-owned (as-is) and refurbished. At Efficient Office Solutions, our goal is to make purchasing quality used office furniture simple and stress-free. Efficient Office Solutions (EOS) recycles thousands of workstations and other office furniture items by removing, warehousing, and refurbishing the furniture. We provide gently used office furniture at a fraction of its original cost. 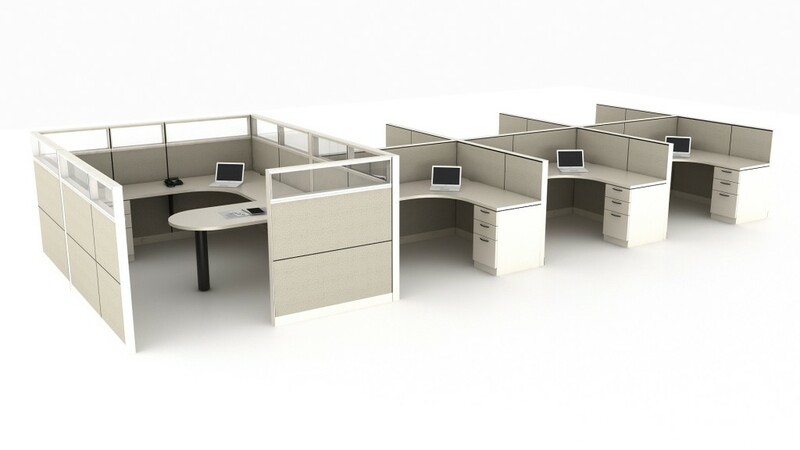 We specialize in cubicle workstations, file cabinets, and seating. Our pre-owned inventory is made up of the most preferred manufacturers in the world, including Steelcase, Herman Miller, Haworth, and other major manufacturers. In addition to saving you and your client’s money, we are proud to call ourselves a “green” company. EOS prevents thousands of cubicles from ending up in landfills across the country. That is just part of our commitment to environmental consciousness. Efficient Office Solutions procures and ships product throughout the world. If quality, price, and quick lead-times are important to you and your clients, contact EOS today!